Please note that the English version of mi.dk is limited to contain information of interest to business partners and not customers. This is due to the fact that MI mostly markets its products to Danish and Swedish customers. of this web site or contact us. We apologize for any inconvenience caused. MI is short for Maskinhandler Indkøbsringen. 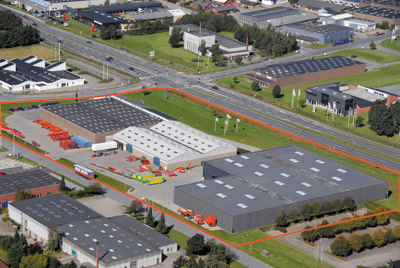 The company was founded in Denmark in 1963 with the purpose of improving machine dealers’ purchasing conditions. 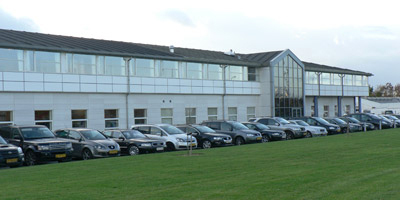 The MI headquarter is situated in Vejle, Denmark. Today, 37 Danish machine dealers own MI. Turnover 2008/09: EUR 78 mio. 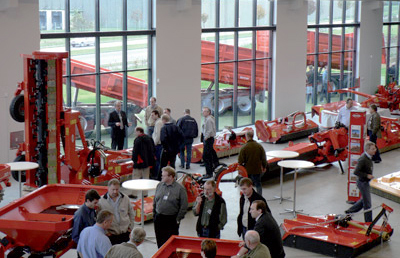 The machine dealers benefit from the MI cooperative by having access to exclusive products such as KUHN, by having access to a large stock placed in Denmark and by achieving better terms of business as they appear as one large customer instead of 37 small customers. The MI dealer network can chose to purchase articles from MI but they can also shop elsewhere. This situation keeps us on our toes as we always have to be better, faster and a more attractive partner than other suppliers, despite the MI cooperative. Therefore we are always looking for, and are open to, new business relationships that can help us do things smarter and more effective. 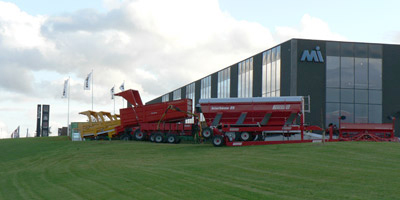 MI is the biggest voluntary chain in the agricultural machine industry in Denmark. 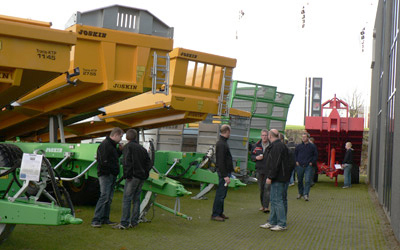 We do not produce machinery but we purchase and stock them from well-known manufacturers around the world and distribute them to farmers etc. through the MI dealer network in Denmark and Sweden. 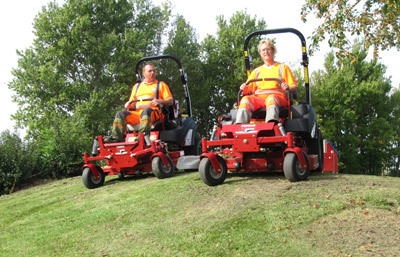 MI is the exclusive distributor in Denmark and Sweden of several international brands, including KUHN (DK only), Rauch (DK only, MI Tip, Krampe (DK only), Maschio (SE only). We publish our own newspapers with the entire agriculture range. 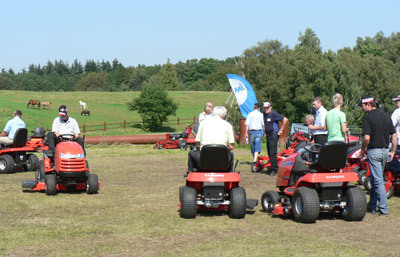 The range is also on display at national fairs, e.g. Have-Landskab (DK) and Elmia Park o Golf (SE). MI purchases and stocks a wide selection of shop articles from well-known brands, which can be purchased by professionals as well as private consumers at the MI dealers or online at shop.mi.dk. All articles are not available online yet, but so far our web shop contains more than 10,000 articles! We publish a number of leaflets every year with seasonal articles and new articles. Toys from Rolly Toys, SIKU, Bruder etc. Hand tools and power craft tools from Hitachi, Bahco, Kabi etc. Compac jacks and jack ups and Migatronic welding machines. Work wear and gloves, e.g. from F.Engel and Schachner. 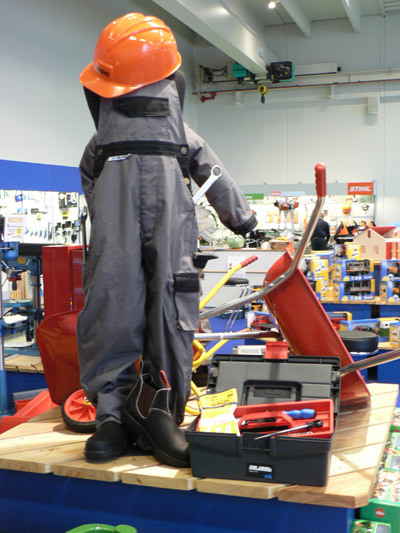 Safety equipment, e.g. safety shoes, safety helmets and safety glasses. 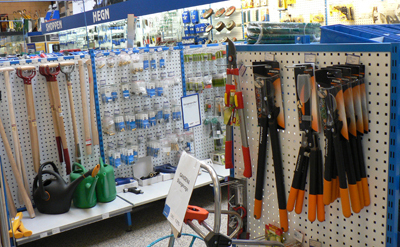 Garden tools and garden equipment from Fiskars, Gardena, Zinck-Lysbro etc. Electronic articles, e.g. flashlights, work lights and Duracell batteries. and current inductors and Horizont electric fencers. 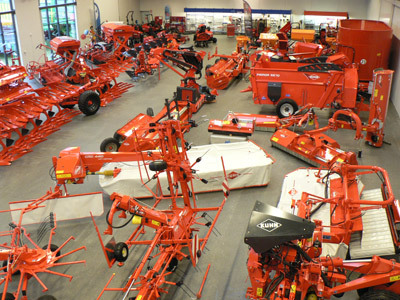 Spare parts for agricultural machinery, e.g. 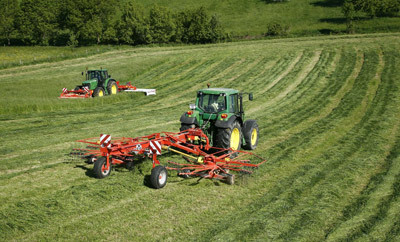 ploughs and harrows. Articles for lubrication, e.g. from Castrol. Hydraulic articles, e.g. from Walterscheid.